Collection of 'Unique Kitchen Tools and Gadgets' from all over the world. 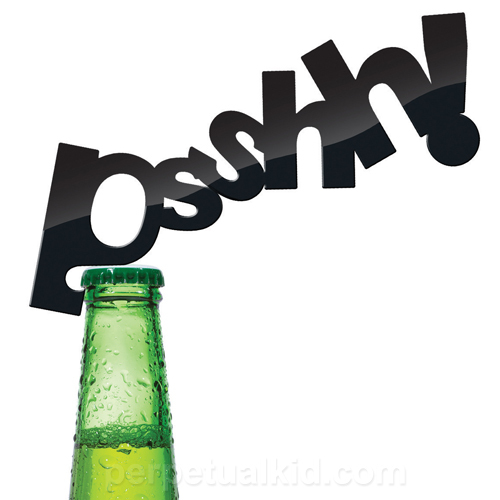 PSSHH! Bottle Opener: A cool bottle opener that gives you a visual of the sound you hear when you open bottles of a refreshing drink. 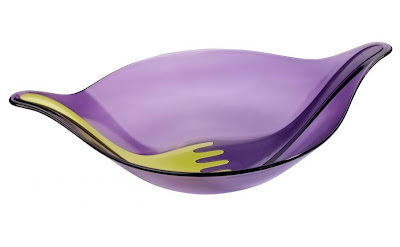 Leaf Salad Bowl and Servers: A salad bowl beautifully shaped like a leaf comes integrated with salad servers. 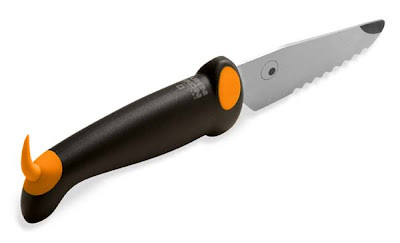 Sharp Act Knife Sharpener: A cool replacement for your regular knife sharpener. 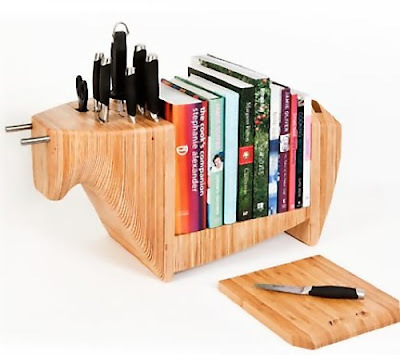 Kitchen Bull: A smart combination of a knife block, bookshelf and a cheese board. 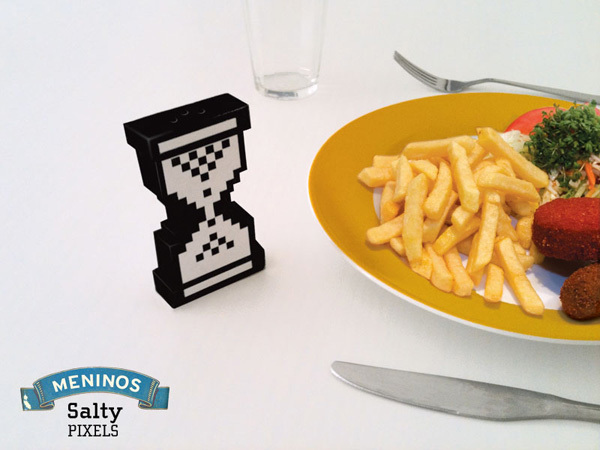 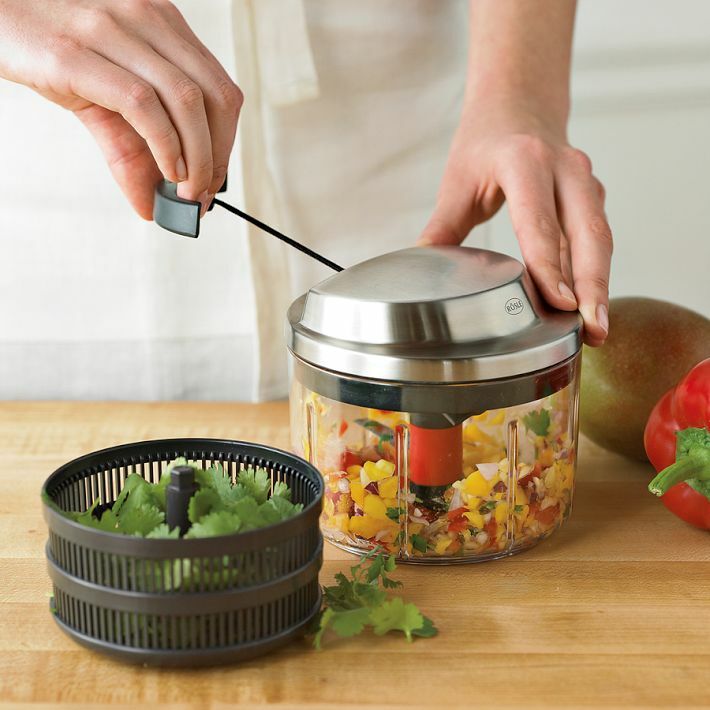 Gravity Activated Salt and Pepper Grinder: Grind salt, pepper or any other spice simply by tilting this electric grinder to 45-degrees. 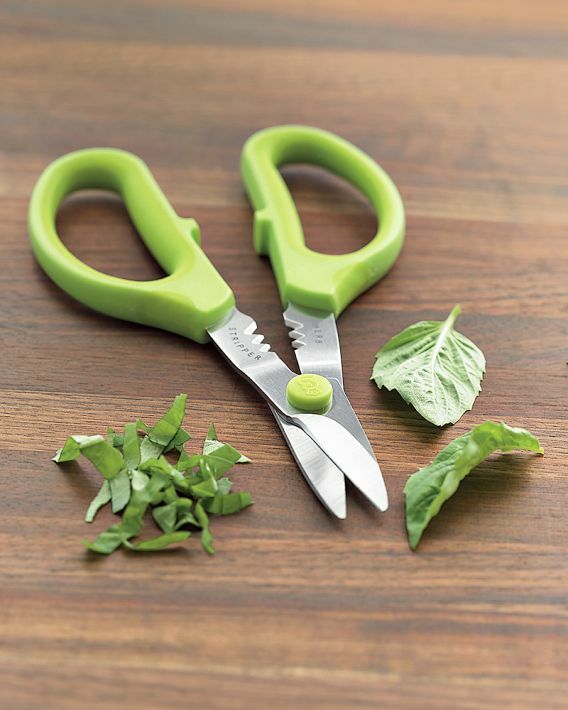 Practical Kitchenware: It's available in a choice of two different sets and includes all everyday essentials, from non-slip mixing bowls to juicer and measuring cups. 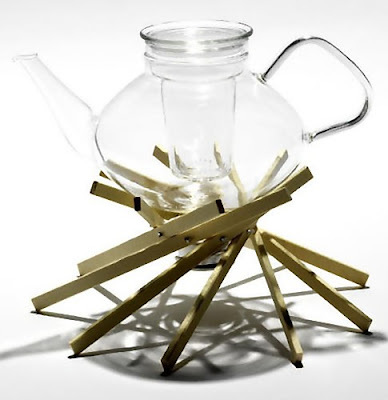 Teapot Warmer: Made of oiled walnut, elegantly arranged into a spiral of slats of wood and linked by stainless steel. Elevate Kitchen Utensils: The head of elevate utensil is always raised off the work surface as it features an innovative weighted handle with an integrated tool rest. 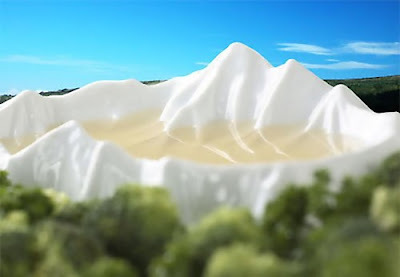 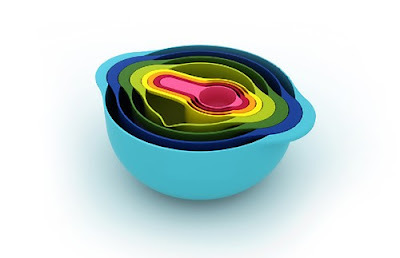 Topography Bowl: With this topography bowl, create a miniature landscape with an edible lake or a forest of leafy greens at the dining table. Rösle Multi Chopper: This hand-powered chopper makes quick work of prep. 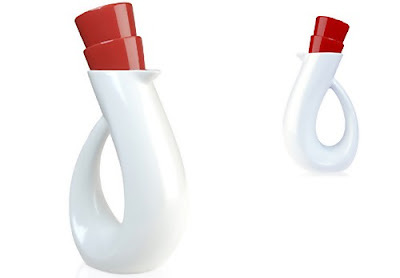 Vineau Carafe and Cups: The carafe holds 1.5 liters, comes with two bright red porcelain drinking cups stored conveniently in the carafe's opening, making it perfect for sharing. 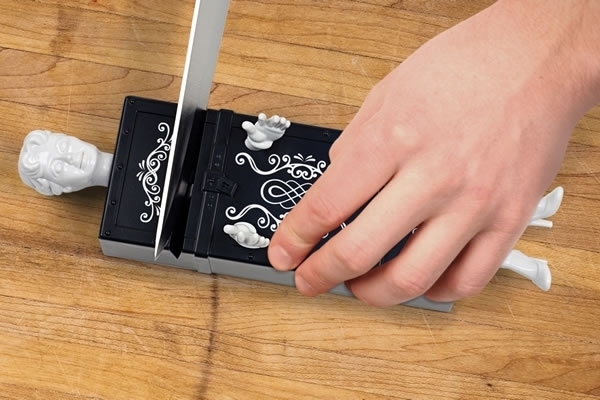 Guitar Shaped Measurements: These cute measurements are based on traditional Russian folk art. 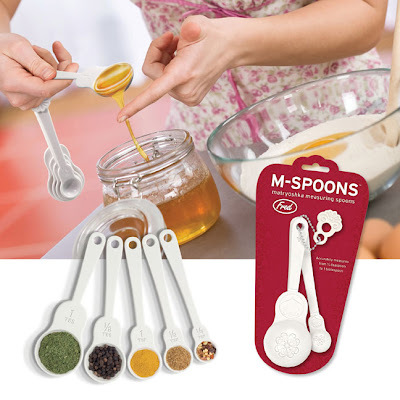 Accurately measures from 1/4 teaspoon to 1 tablespoon. 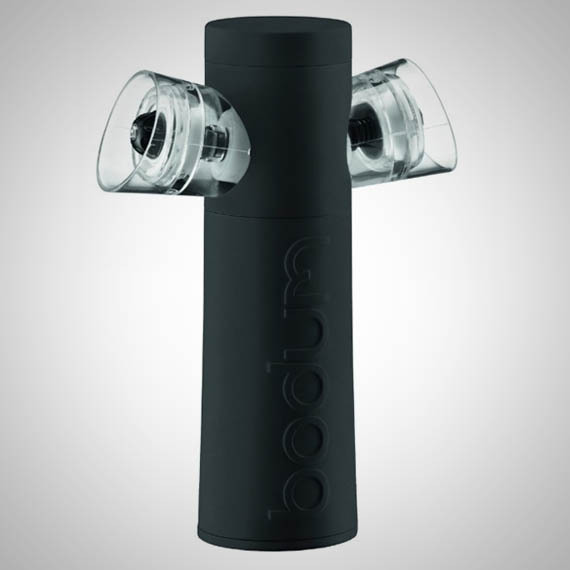 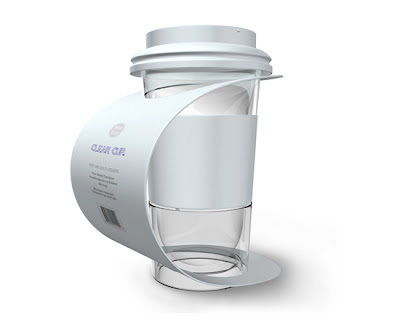 Clear Cup: It's a modern design suitable for hot and cold liquids with or without the cover. Dog Knife: Specially designed for kids, it looks like a dog while its ears act as hand guards. 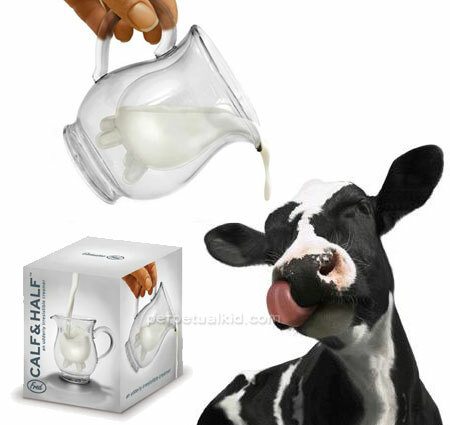 Calf and Half Creamer: This pitcher gently reminds us where our cream really comes from! 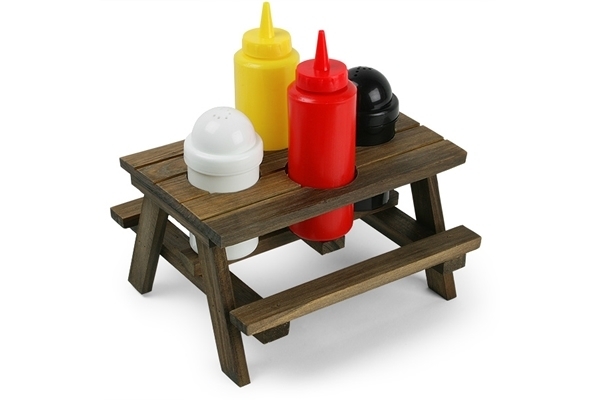 Picnic Table Condiment Set: This cute and clever mini picnic table condiment set consists of a mini wooden picnic table, ketchup and mustard bottle and salt and pepper shakers. 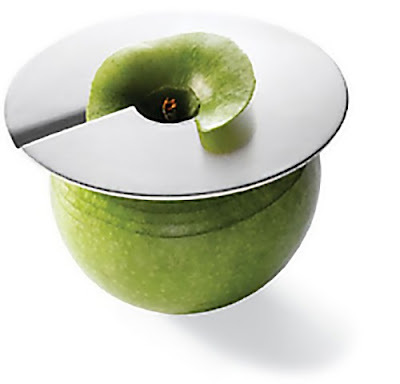 Mono Apple Slicer: For getting perfect slice, just place the slicer on your apple and rotate. 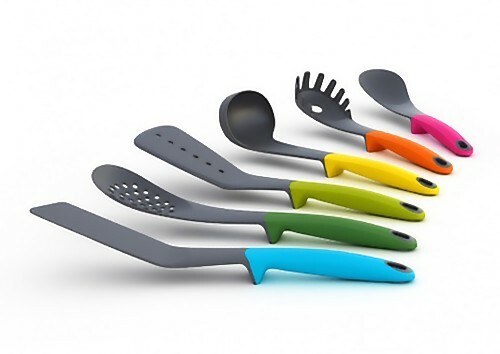 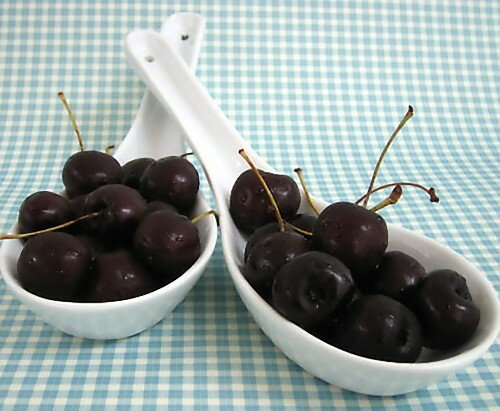 Don't miss to check out "Unique Kitchen Tools and Gadgets - Part: 1| 2| 3| 4| 5| 6| 7| 8| 9| 10| 11| 12."